Our guild was so excited to participate in the Kona "No Prints Allowed" challenge sponsored by Robert Kaufman! 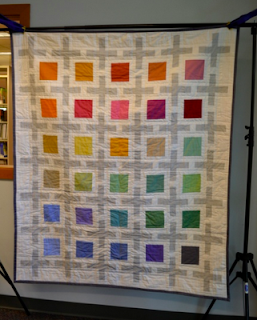 The wonderful people over at Modern Quilt Relish were nice enough to guest judge our quilts, and they chose Natalie for the winner! 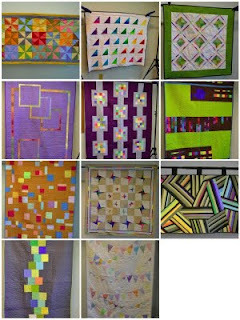 And here's a little mosaic featuring the other amazing quilts made for this challenge! You can see more images HERE at our flickr page. You can also see other Kona Solids Challenge quilts made by other Modern Quilt guilds by checking out THIS flickr group! 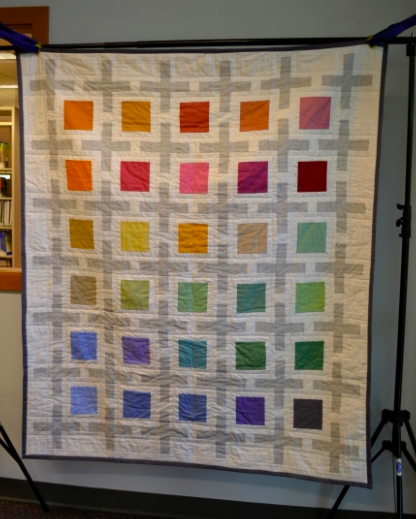 Thanks again to Robert Kaufman, Modern Quilt Relish, and also to Pink Castle Fabrics for donating prizes! Sorry I didn't get this out before now. 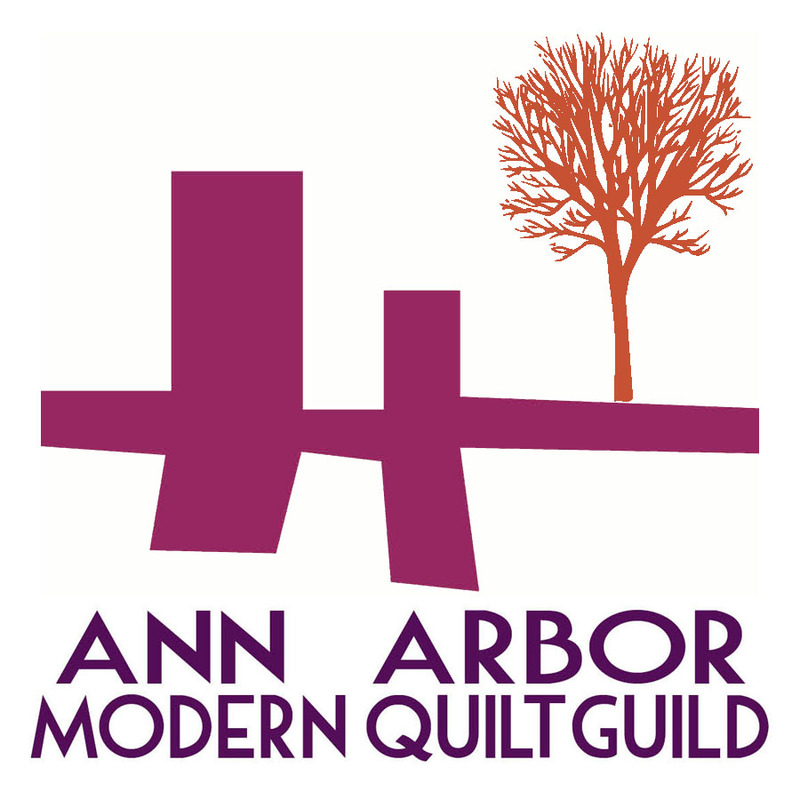 I'm polling as to who would like to go on our western MI shop hop. The dates we are looking at are Aug 20 or 27. If you are seriously interested in going, please let me know which date or dates you could go. 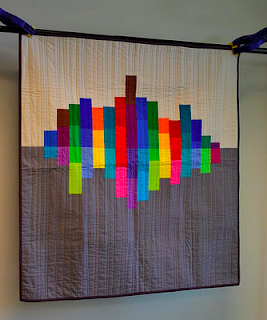 I'm also polling the Brighton Modern Quilters and we'll see which dates gets the most people. So far, we don't have a specific itinerary. Sew Unique in Battle Creek is one definite destination, but not sure about the rest. Someone mentioned Fields Fabrics in Holland as a possibility. Also Quilts at the Marshall House is a possibility -they don't have a lot of really modern designer fabrics, but they do have a lot of great fabric. If you have any ideas about other shops, please let me know and we'll get the plans organized a bit more. Please reply about the dates by Friday, July 22 so we can get the final date on people's calendars. You can either reply in the comments here or send me an email at ehq@sbcglobal.net. Thanks!